My grandfather, Peisech Mendzigursky, was born in Oswiecim (Auschwitz) on 9th April 1898. He was named Peisech because he was born during Peisech (Passover). The surname was originally Miedzygorski, but it became Germanized when Peisech’s parents fled the pogroms with their five children to Leipzig, Germany, at the end of 1903. Peisech’s father, Meier Feiwel Mendzigursky, was a furrier and also a well-known torah teacher in Leipzig. The family was very religious. Peisech was also a furrier at first, but by the time he married my grandmother, Frieda Wiener, in 1924, he was a “traveling salesman,” selling non-kosher wines and silver cutlery. The couple had four children: my mother Feige (later known as Fay), Malke (later known as Margo), Adolph, and Etti Lea. The family lived an orthodox life, my mother remembering Fridays, when her mother Frieda would make her own kosher wine from raisins, and string the home-made lochschen out over the dining room chairs! Frieda also wore trousers and smoked cigarettes, which was unheard of for religious Jewish women at that time, and she would send my mother out to buy cigarettes for her on Shabbat! 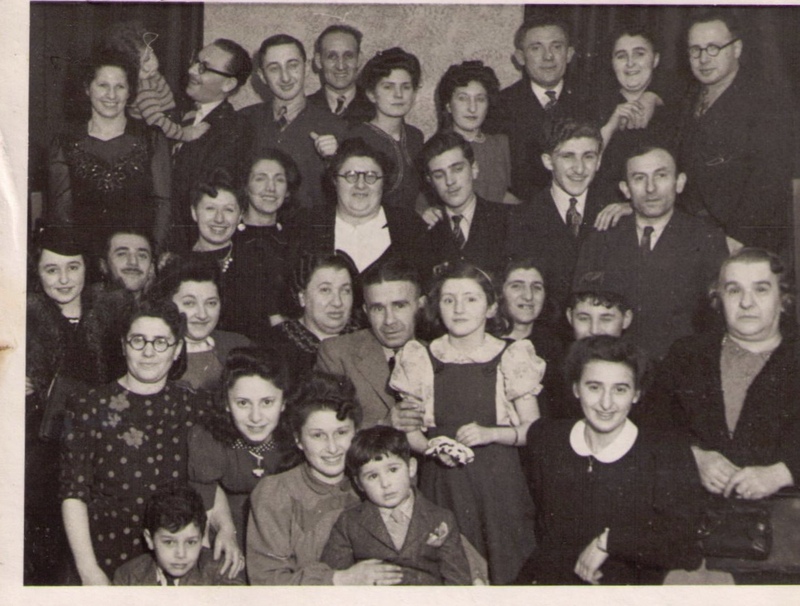 And so Peisech began the long and arduous process of applying for the visas for six people – he, Frieda, and their three daughters, and his father Meier Feiwel, who by this time was living in the Jewish old age home in Leipzig. (My great-grandmother had died in 1935, and little Adolph had passed away at age six from pneumonia). The family hoped to be taken in by their Miedzygorski cousins – the Bookbinder family of Cheetham Hill, whose matriarch was Reisel Devora Miedzygorski Bookbinder, my grandfather’s aunt, so the Bookbinders also had to provide the necessary guarantees in order for the family to be allowed into Britain. Peisech Mendzigursky arrived at Dover on 31st August 1939, just one day before Germany invaded Poland. One day later, and he definitely would have been turned back. He had supposedly obtained a visa to travel on to Shanghai, which may have been why he was allowed into Britain. He went immediately to Kitchener camp, as per the conditions of his admission into the country, and spent the next four months there. He was an unofficial “camp minister.” He had a beautiful voice and was a cantor – a chazzan. In January 1940, Peisech started working as a machinist for Benno Kessler, a British-born Jew, who had a sewing factory. He was living in Broughton. His two teenage daughters, Fay and Margo, were working as machinists too. Two months later they received word from Frieda in Leipzig, that “all was fine,” which was not the case at all. She was already doing slave labour in a munitions factory. Over the next year only two more short postcards were received from Frieda, via the International Red Cross, then nothing further. She never talked about herself, just about her two beloved daughters whom she missed terribly and was worried about. After his release, Peisech returned to Benno Kessler, working as a machinist, packer, and warehouseman. In October 1946 he was overseeing the kosher kitchen at Springfield Hospital. He became a British citizen in 1951. Since I was born in London, I did not really know my grandfather very well, but I know he remained deeply religious and committed to his Judaism his entire life, despite the fact, or maybe because of the fact, he had lost his father, wife, and seven-year-old daughter to the Holocaust, a young son at age six, and his daughter Margo to stomach cancer in 1960. Peisech was a very active member of the synagogue and continued as a chazzan with his beautiful voice. He was known for his quiet demeanour and smile, and much loved and respected by his Bookbinder cousins. Peisech died on 27th April 1962 of a stroke, and is buried at Phillips Park Cemetery, Whitefield.